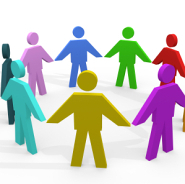 The Practice would like to set up a Patient Reference Group, whose membership comprises patients from across all 3 sites with Askern Medical Practice. The group should be able to meet every 8-10 weeks and the aim is that by working together we can continue to develop and improve the services we are able to offer patients. We have had a fantastic response to our request for people to join our PPG or VPRG across all 3 sites. We now have 29 members of various ages and outlooks who are all happy to contribute ideas and opinions. That doesn’t mean that we don’t still want to hear from anyone else who would like to join, particularly our VPRG, so please let us know if you are interested. Click here to view a profile of our PPG/VPRG. If you are interested in this we would be glad to hear from you. Please email us at PatientContact@gp-C86605.nhs.uk. In the subject line place PRG membership. Not got the time to attend the Meetings? Why not join our virtual PRG! We would like to recruit 200 of our patients whom we will send a few brief surveys to complete online over the next year. This group will need to represent the diversity of our practice population. We will use your results from the surveys to help understand and plan the priority areas for the practice to develop in the future. These priority areas can then be explored and we would ask a wider audience for their opinions on the areas YOU see as important. No – we will use email to communicate and produce on-line surveys for you to complete. We do not intend to meet face-to-face as we feel a virtual group will allow a wider range of our patients to participate. Q: Why are you asking for date of birth? This is purely so we can confirm you are one of our practice patients. Q: Will my doctor see my replies? The GPs and a few administrative staff will see the results but they will all be anonymous. They will NOT be attached to your medical records. No – we will only ask general questions about the practice and services. They will be in a short internet based question format. Your contact details will be kept safely and securely and will only be used for this purpose. We will NOT share them with anyone else. Not very often. We would think it will be 3-4 times over the next year and all will via email. We will NOT telephone or write to you. Q: What if I no longer wish to be involved? Just let us know and we can remove you from our reference group contact. This will have no impact on your usual medical care. Please notes these dates are subject to change.